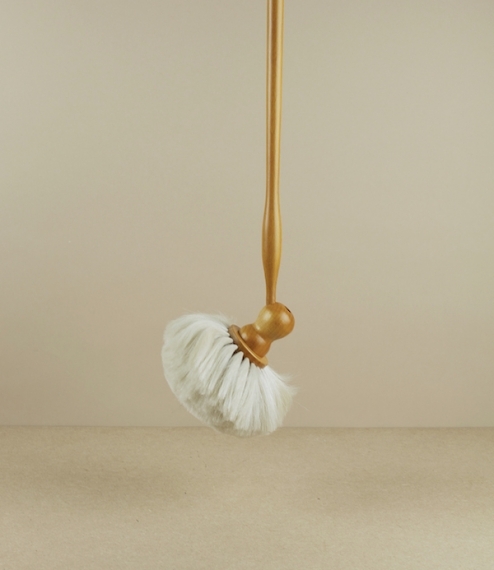 With a circular, almost hemispherical head of soft light goat-hair hand sewn into a waxed beech stock, supplied with an 80cm matching turned beech handle which can be fitted either straight on, or at a useful oblique. This brush allows for the accurate dusting of hard to reach but delicate items, picture frames, mirrors, clocks, or cornice. From a small family owned brushworks in North Rhine-Westfalia.